As the technologies mature, accountable care organizations are reporting big savings, delivering more primary care services, and reducing unnecessary emergency visits. In the broad transition to payment reform and value-based care accountable care organizations need robust analytics and care management platforms that go beyond today’s EHRs. Aledade, Caravan Health, CHESS, Conifer Health, Cognizant, Evolent, McKesson, Optum, Premier and TMA Practice Edge are all on Chilmark’s list -- while Dunn Solutions, Fibroblast, Innovaccer and SAS Institute are also staking a claim in the ACO realm. Some ACOs, in fact, are already reporting success stories. 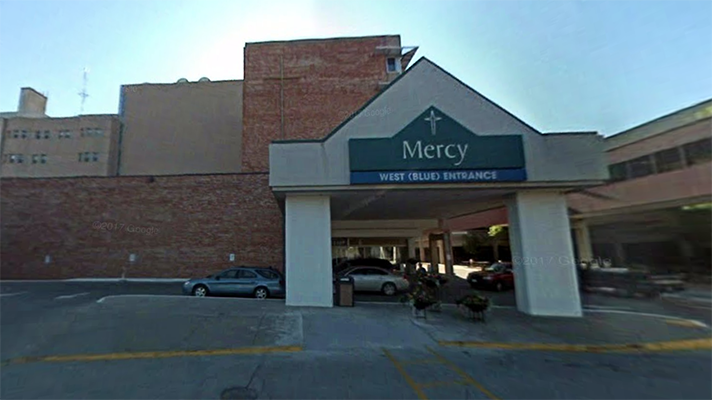 Mercy Accountable Care Organization in Des Moines has reduced healthcare expenditures for Iowans by more than $70 million since the ACO’s inception in 2012. And COO Derek Novak envisions even more savings in the years ahead. The ACO uses a platform called Datashop Care Intelligence System from Innovaccer. Comparing 2017 over 2016, workflows and processes enabled by Datashop have played a significant role in improved key process indicators, increasing the annual wellness visit rate by 9.2 percent, boosting primary care services by 14.3 percent, and reducing emergency department utilization by 6.7 percent, the ACO reported. “Platforms like Datashop serve to facilitate additional insights to opportunities that would otherwise remain unknown; for example, gaps in care, prior diagnoses not currently reflected, and information on care that was provided out-of-network, among other items,” Novak said. Today, Mercy has deployed the care management technology suite across all six regional chapters of the ACO. While each may be at a different point of integration, the ACO views the technology as central to carrying out its vision. The platform integrates the ACO’s standardized care management model workflows but also uses real-time data to assign work to care management team members. This ensures that high-risk patients are identified and assigned to staff work queues so clinicians can intervene to coordinate care accordingly. As part of the ACO’s high-risk protocol, an immediate designation is a member that is admitted or discharged from a hospital. The ACO ingests ADT notifications daily from both its participant hospitals and the State of Iowa Health Information Network and it matches these alerts to members that are part of value-based agreements. Once identified, these patients are placed on a care management staff schedule work queue across the state via Datashop as an admission/discharge alert. Care management then follows standardized engagement protocols, including follow-up appointments back to the member’s medical home. “These workflows are a major contributing factor to our 14.3 percent 30-day readmission rate, an improvement of more than 7 percent compared to 2016 results,” Novak said. When it comes to other benefits of operating the care management and analytics platform, Novak cited transparency and flexibility. For transparency, the system provides insights into performance on value-based measures that are generally either not timely or simply not provided by payers, he said. Having this information close to real time has provided Mercy ACO the opportunity to improve performance and make strategic decisions at a much faster rate. This has resulted in increased confidence in reports from both the care management team and providers, minimizing “That’s not my patient” and “I don’t know” barriers when data or measures are questioned, he added. Such flexibility in reporting also has given Mercy ACO a mechanism for much more timely changes and updates. Often it could take weeks or months for other systems to update to a new measure standard, challenging when that measure may change annually under a given contract, Novak explained. By having such flexibility, the platform provides a competitive advantage in value-based agreements and getting health systems to align with the frequent changes of payment reform, he said. Following in the footsteps of industries such as banking, retail and manufacturing, healthcare is getting much more data intensive. One of the largest barriers to working with this data is the silo systems in which the data exists. For ACOs, this barrier is magnified with multiple electronic health record systems, billing systems, scheduling systems and payer claim files, to name a few. Success stories such as Mercy’s will likely bring increased attention to the ACO-Enabler space -- especially as they continue into the future. “For Mercy ACO these insights alone show significant savings opportunities in the years ahead,” Novak said. The analyst firm also predicted increased merger and acquisition activity looking ahead to 2018, including for an ACO-enabler and an EHR vendor to come together and offer a comprehensive population health management suite.